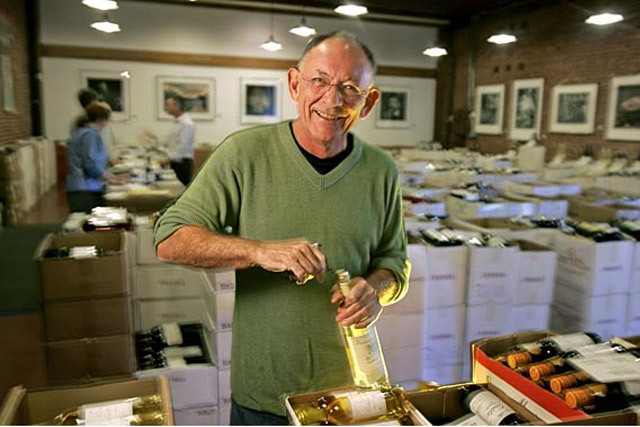 Kermit Lynch has been a wine merchant in California since 1972. the French Government presented Kermit Lynch with the La Medaille de l’Ordre National de la Legion d’Honneur. This award was given to Mr. Lynch for his dedication to French Wines and his role as a distributor in the US and California. This award has also been given to Leonardo DiCaprio, Martin Scorcese, among other Americans. Mr. Lynch has some very talented and influential friends, among them Alice Waters and Boz Scaggs who participated in creating the event. Cuisine by Alice Waters and Olive Green Catering. Music by Boz Scaggs.